Chrissie Wellington’s autobiography A Life Without Limits has gone to Number One in the Sunday Times Hardback bestseller list, in its first full week of sale. 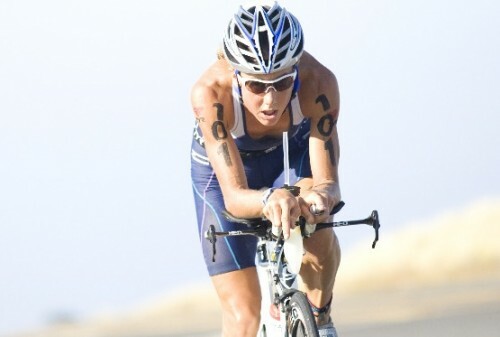 Chrissie Wellington is the world's No 1 female Ironman triathlete, a four times World Champion, having recently won the her fourth title in October 2011 and the World Record holder. In 2009 she was voted 'Sunday Times Sportswoman of the Year' and in 2010 was awarded the MBE. Chrissie has displayed unprecedented levels of stamina, strength and competitiveness in becoming Ironman World Champion in only her second event at Ironman level. Her victory in Kona, Hawaii in 2007 finishing five minutes ahead of her nearest rival was described as the 'biggest upset in Ironman history' and 'a remarkable feat, deemed to be near impossible task for any athlete racing as a rookie at their first Ironman World Championships'. A Life Without Limits is the remarkable story of how a Norfolk girl - a 'sporty kid, swimming, playing hockey, running, but never excelling and always more interested in the social side of the sports scene' - became a world champion.